As luck would have it, at the same time, I found a public library book with a few ideas for altering these composition books (Beyond Scrapbooks by Barbara Bourassa, published in 2006 by Quarry Books). I have been collecting a stash of vintage ephemera (some from Lenna's inspiring blog). It's funny when you see something in a photo (particularly your own work) how it looks so different from the real thing. There was something blah happening..... so I added a bit of distress ink around the edges and judiciously on the spine, and here's the final result. 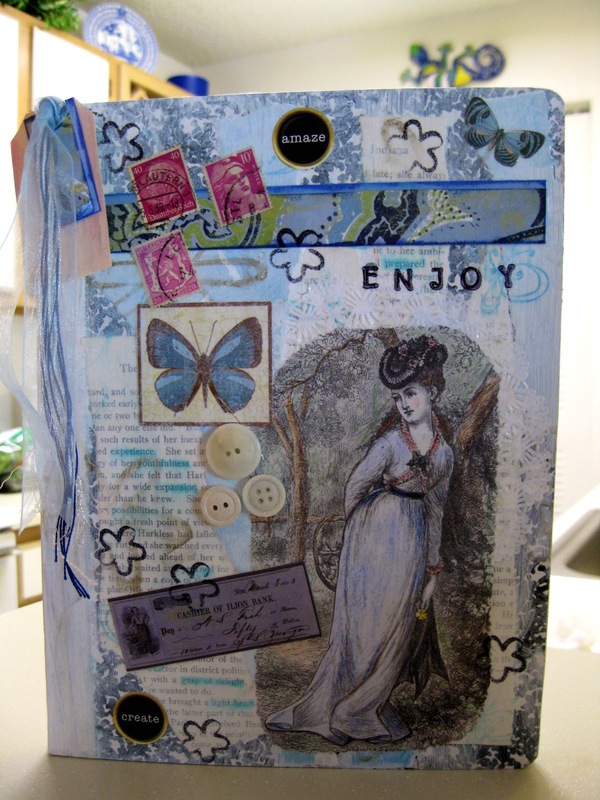 This is amazing – as I´m just beginning Art-Journaling it´s a beautiful and inspiring pic of how to embellish books and how to create pages. Gorgeous book - lucky friend! This looks great! Lucky friend! 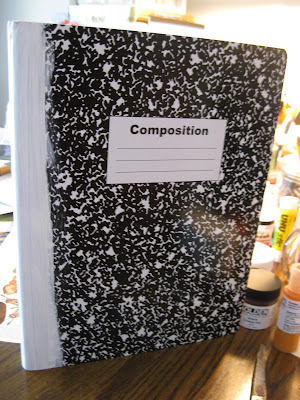 I have some of these notebooks I got for a dollar as well...may have to jazz em up! yeah! she's gonna love it! Wow, it looks gorgeous, Susan. A real treat for the eyes. Fantastic! You have done an excellent job! I love altered books. At first I was not so keen to mark up a book but my local library was throwing books out! so I had to recycle them into art.